Julia Roberts as Liz Gilbert in "Eat, Pray, Love." Julia Roberts as Liz Gilbert and Viola Davis as Delia Shiraz in "Eat, Pray, Love." Julia Roberts as Liz Gilbert and Hadi Subiyanto as Ketut Liyer in "Eat, Pray, Love." On the set of "Eat, Pray, Love." Shirley MacLaine, Julia Roberts and Emma Roberts at the California premiere of "Valentine's Day." Julia Roberts at the California premiere of "Valentine's Day." 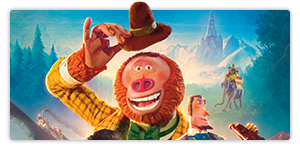 Bradley Cooper as Holden and Julia Roberts as Kate in "Valentine's Day." 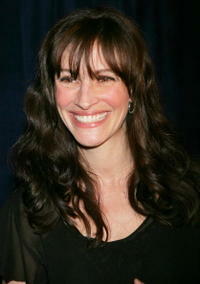 Julia Roberts at the New York premiere of "Duplicity." Julia Roberts in "Charlie Wilson's War." Director Mike Nichols and Julia Roberts on the set of "Charlie Wilson's War." Julia Roberts and Tom Hanks in "Charlie Wilson's War." 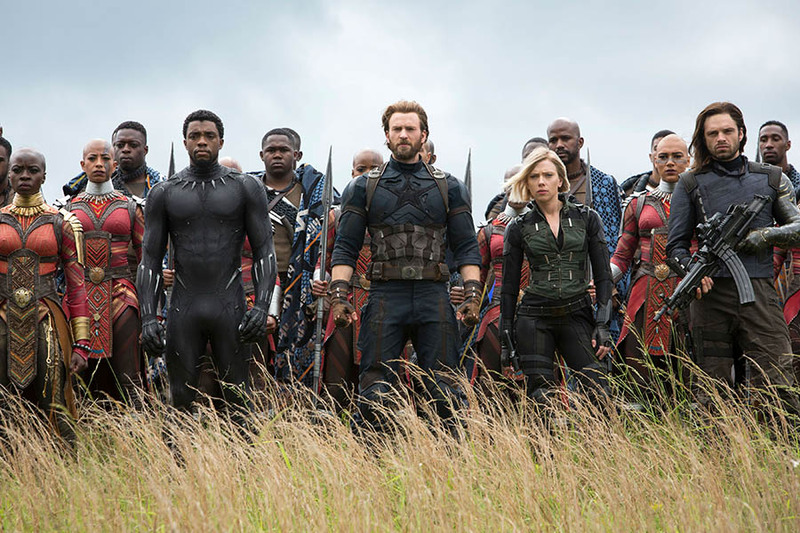 Tom Hanks and Julia Roberts in "Charlie Wilson's War." Julia Roberts at the 22nd Annual American Cinematheque Awards. Julia Roberts at the premiere of “America's Sweethearts” in Los Angeles. Julia Roberts at the 21st Annual American Cinematheque Award in Beverly Hills, CA. Julia Roberts at the premiere of “Oceans 11” in Los Angeles. Julia Roberts at the "Charlie Wilson's War" premiere. Julia Roberts at the premiere of “Full Frontal” in Beverly Hills. Roberts at the premiere of “The Mexican” in Los Angeles. Julia Roberts at the 58th Annual Golden Globe Awards in Los Angeles. Julia Roberts at the after party for the opening of “Three Days of Rain” in New York City. Julia Roberts at the 74th Annual Academy Awards in Hollywood. Julia Roberts at the 60th Annual Tony Awards in New York City. Julia Roberts at the 'Stars in the Sky' benefit in New York City. Julia Roberts at the 7th Annual Screen Actors Guild Awards in Los Angeles, CA. 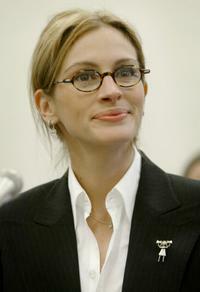 Julia Roberts at the National Board of Review Awards in New York City. Julia Roberts at the G Q 'Men of the Year Awards' in New York City. Julia Roberts at the 76th Academy Awards in Los Angeles, CA. Julia Roberts at the “Notting Hill” premiere in New York City. Julia Roberts at the premiere of “Mona Lisa Smile” in New York City. Julia Roberts at the 11th Annual Critics' Choice Awards in Santa Monica, California. 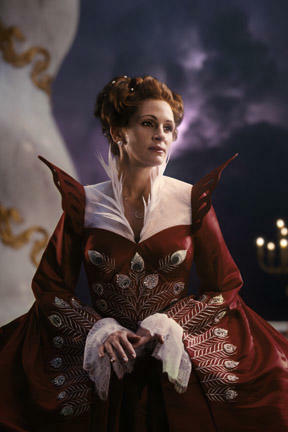 Julia Roberts in "Mirror Mirror." Julia Roberts in "Fireflies in the Garden." Julia Roberts on the set of "Eat, Pray, Love." Julia Roberts as Liz Gilbert and James Franco as David in "Eat, Pray, Love." Richard Jenkins as Richard from Texas and Julia Roberts as Liz Gilbert in "Eat, Pray, Love." 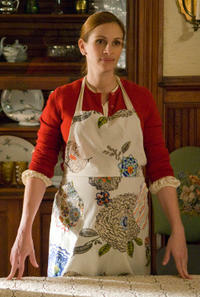 Julia Roberts as Kate Hazeltine in "Valentine's Day." Julia Roberts as Claire Stenwick and Clive Owen as Ray Koval in "Duplicity." 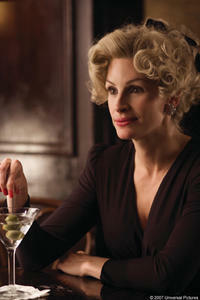 Julia Roberts as Claire Stenwick in "Duplicity." Clive Owen as Ray Koval and Julia Roberts as Claire Stenwick in "Duplicity." Clive Owen and Julia Roberts in "Duplicity." 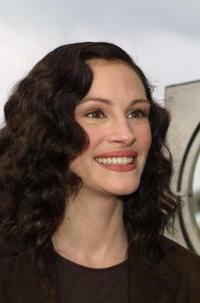 Julia Roberts at the New York premiere of "Mona Lisa Smile." Julia Roberts at the California premiere of "Full Frontal." Julia Roberts at the 73rd Annual Academy Awards. Julia Roberts at the Los Angeles premiere of "Full Frontal." Julia Roberts at Washington, testifies before the House Appropriations Sub-Committee on the RETT syndrome. Julia Roberts at the Los Angeles premiere of "Charlie Wilson's War." 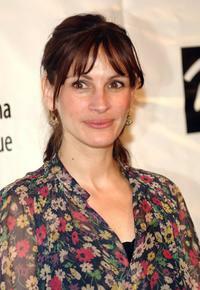 Julia Roberts at the 72nd Annual Drama League Awards ceremony. Julia Roberts and Benjamin Bratt at the Vanity Fair Oscar party. Julia Roberts at the 57th Annual Golden Globe Awards. Julia Roberts at the Los Angeles Film Critics 26th Annual Awards. Julia Roberts at the 27th Annual People's Choice Awards. 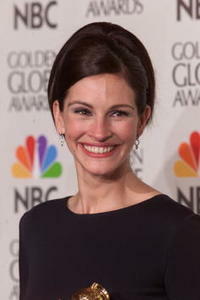 Julia Roberts at the 58th Annual Golden Globe Awards. Julia Roberts at the 28th Annual People's Choice Awards. 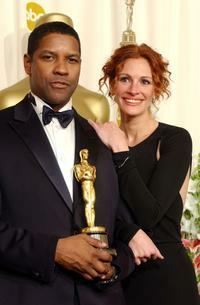 Denzel Washington and Julia Roberts at the 74th Annual Academy Awards. Julia Roberts at the New York premiere of "The World of Nick Adams." Julia Roberts at the Los Angeles premiere of "Ocean's Eleven." Julia Roberts at the California premiere of "Mirror Mirror." Julia Roberts at the California premiere of "Secret In Their Eyes."